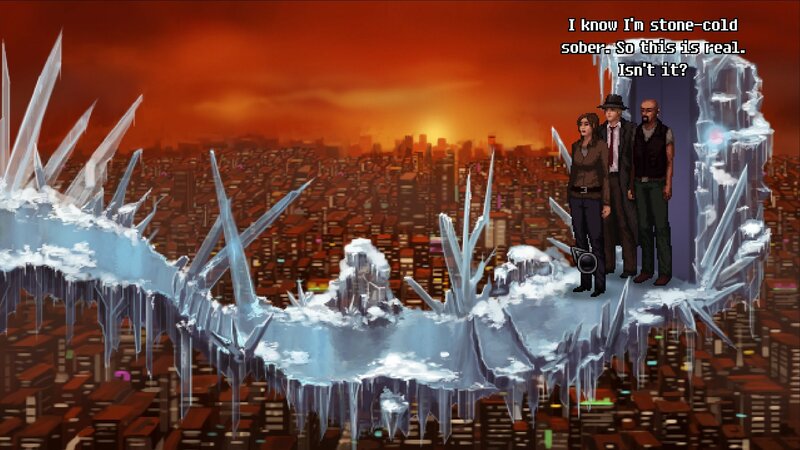 Unavowed is unquestionably one of the most impressive point and click adventures made in many, many years. It’s of a scale I wasn’t at all expecting, with layer upon layer of complexity and variety in a way the genre has genuinely never seen before. It’s also a darned fine yarn of demonic battling across the streets of New York, that tells its story in a way that owes as much to BioWare RPGs as it does traditional adventure gaming. 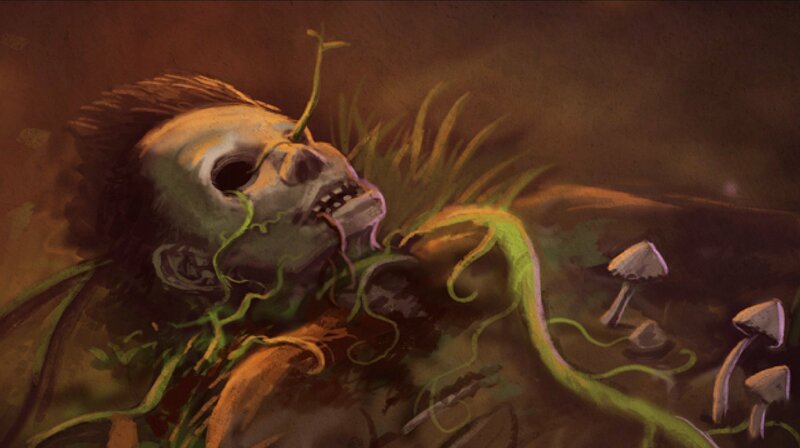 The Unavowed are a team of human and non-human people who, for hundreds of years, have fought behind the scenes to control demonic and other-realmly activity. In recent times such naughtiness has calmed, and the Unavowed has all but disappeared from public consciousness, their own numbers dwindling. Until recently. It seems that all sorts of trouble is brewing in New York City, and, well, it might be all your fault. Things begin with an immediate abundance of choice. During a yelled interrogatory exorcism on a rooftop, you are given choices as part of your struggle to be saved from whatever is going on. Here you can choose to play as male or female, and while this decision has no impact on what your character does or is treated, your chosen background certainly does. You can be an actor, police officer or bartender, and which you choose not only gives you a unique introduction, but affects how you can approach various incidents throughout the game, and indeed locations available at key moments. It goes even further, impacting your relationships with other main characters, changing how people react to your past actions, and on and on. The career you choose shows you one of three possible beginnings, each a unique detailed story, but each showing how your character, a year ago, came to be possessed by a demonic force. This complete, you jump back to the present day and the exorcism is completed – you’re freed of the demon. But unfortunately not of the consequences. Over the last year, you and your host have done… terrible things. Really shockingly terrible, in some cases. And now, joining forces with the Unavowed who just saved you, it’s time to start trying to put things back to as close as right as you can. And on the way, you make very many more choices that continue to have a significant impact on how the tale plays out. The key to all this variety is companionship. Unavowed’s sole writer, Dave Gilbert (known for the Blackwell series), announced that he was intending to liberally borrow ideas from BioWare’s RPGs, which at the time I thought sounded like a nice idea, but, you know, not actually possible. BioWare has a team of 400 billion people making their games. One guy, as talented as he might be, wasn’t going to be able to pull off the same, even in a much more limited fashion. Well, he showed me. 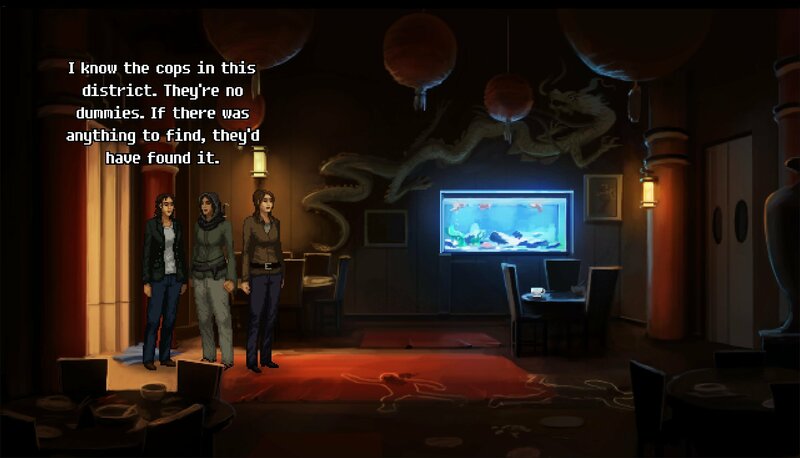 At the start of each of Unavowed’s chapters, numbers of them playable in your chosen order, you select two companions from a pool of four. And the two you choose really quite significantly changes how you approach the elaborate and lengthy subplots. If you take Logan for instance, a “bestower” with the ability to see and communicate with ghosts, you’ll be able to – well, see and communicate with ghosts. If instead you choose Vicki, a cop, then you’ll simply never know there were ghosts in the story, never learn information from them, and definitely not free them from whatever it is that ties them to this realm. Because instead you’ll have access to a whole load of other puzzles and approaches that you’d never have known about if you’d picked Logan. 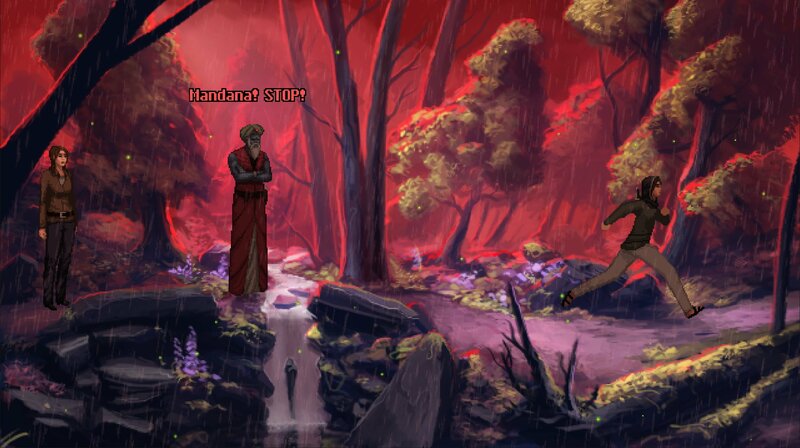 The same goes for lacking Mandana’s athleticism and very sharp sword, or Eli’s fire mage abilities. But this goes even further! Oftentimes characters will have personal connections to the particular story, and while on occasion it will force a particular plot beat to be seen by making narrative excuses to switch in a companion, oftentimes it won’t, meaning the emotional impact of a chapter can be significantly affected by who’s with you. And then, good gravy, what you choose to do in each subplot goes on to affect things further! 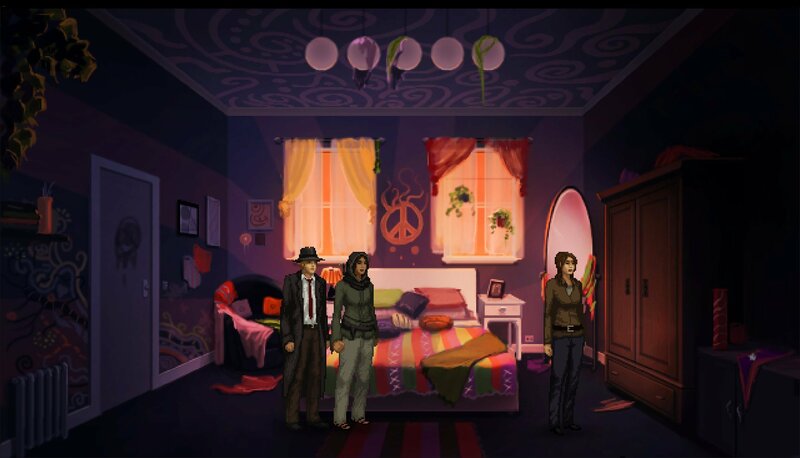 Alongside the companions, Unavowed also learns a lot from BioWare’s ethical quandaries, facing you with incredibly difficulty decisions to make to resolve complicated situations. And very pleasingly, these aren’t choices that are throw a dilemma at you out of nowhere, but rather are influenced by the conversations you’ve had, the companions you have with you at the time, and indeed your own personal proclivities. Sometimes there’s no choice that feels even close to right, and making them feels genuinely important. An import that bears fruit as things progress. So, I should say, I wouldn’t have voiced all this enthusiasm after what one could call the mid-point. (It’s actually about a third of the way in, because the second act is hugely longer than the first.) It’s immediately brilliant with its writing, its superb story, its outrageously beautiful artwork, voice acting from a huge cast, and the neat idea of having “look at” be just a mouseover, with the description at the bottom of the screen. But when it comes to the adventuring, it’s… simplistic is a generous term. A little too often it’s more about changing location and having the conversations, rather than solving any actual puzzles, and those that are there are very easy. I was thoroughly enjoying playing, but I couldn’t shake the feeling that it was lacking the ingenuity the genre really requires. I didn’t like every character. But then, that’s how life works, I suppose. I found Logan insufferably simpering and one-note, even though I would often want to bring him along to play out the ghost angles. And I think Vicki is a little under-realised when compared to the rest of the cast. But honestly, that it’s possible to pick at the game like this raises it above the average adventure in the first place. There are, undeniably, a couple of dud puzzles in there. (Once you’ve played it you can come back and agree with me about how terrible “LEGS” was as a clue.) But in the main your companions will prompt you if you ask them to, and I never found myself resorting to “click everything on everything”, or anything close. Where there are other issues with the game, there really only because of the scope of its ambition. 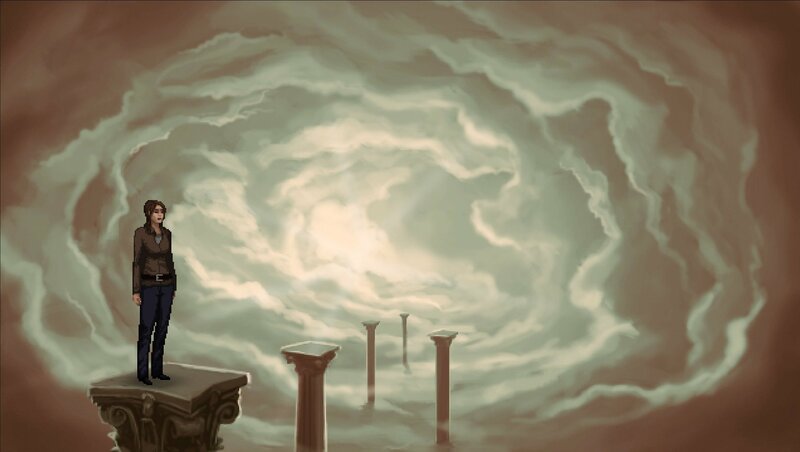 If Unavowed had been released in the early ’90s, it would be remembered today as one of the all-time classics of the adventure genre, lauded for its innovations with the form, referenced as an inspiration for games still being made today. 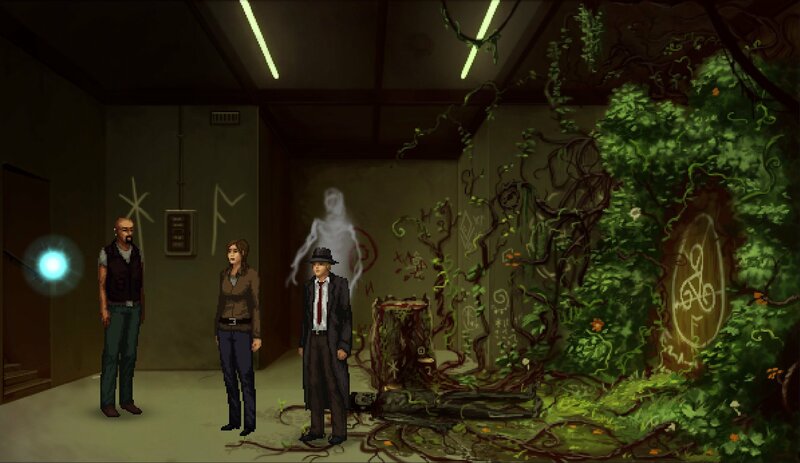 Unavowed, however, was released today, looking like and feeling like a hark back to the glorious past of the genre, and that makes for a very different reception. A contradiction I find very fascinating. Gilbert’s chosen medium of Adventure Game Studio, and its 1990s-strewn aesthetics, means that while his games have consistently been of an enormously high standard, they’re also semiotically weighed down with a sense of nostalgia and artifice. They look like games that were made 30 years ago, and whether that’s because of a preference for the art style, a belief that budget restraints demand it, a fondness for cherished memories, whatever, it makes it incredibly difficult for them to be received and indeed perceived as brand new creations. No matter how many brilliant innovations Gilbert has included here, no matter how much he’s taken the point and click adventure into spaces that absolutely no one else has ever tried or managed before, it still feels like a throwback to the past, rather than a step forward into the future. Which is why, I contend, this won’t be recognised as the all-time genre classic that it definitely is! 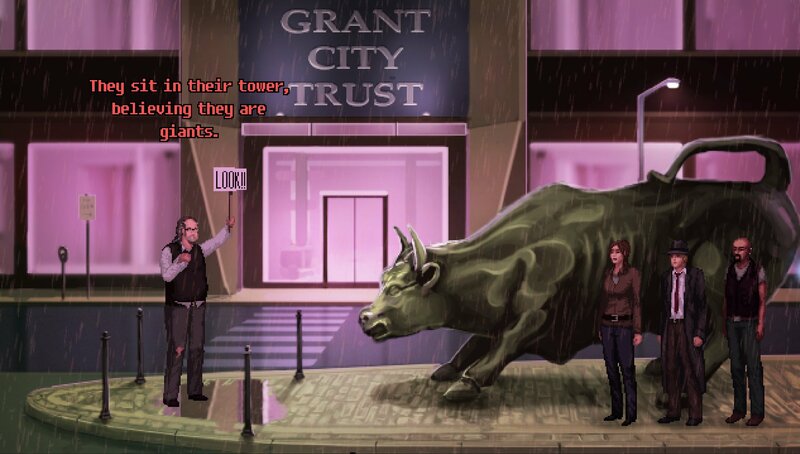 Such musings aside, Unavowed is a remarkable thing. It’s not exactly common that one finishes a narrative-driven adventure game and thinks, “I want to play that again straight away!” But I’m absolutely dying to set off again with a different career, pick different companions for missions, make different moral choices (wrong ones, clearly), and experience the vast swathes of voiced dialogue, the perspectives on the smaller and larger stories, I won’t have heard my first time through. Ghosts I never met, buildings I never saw climbed, consequences I never knew. I think this is testament to the extraordinary work of a one-man writing team – it’s quite the incredible feat. Which is not to omit mentioning Ben Chandler’s art and animation, which is his finest yet – quite the accolade for anyone who’s followed his pixel artistry over the years. Then there’s the portrait art by Ivan Ulyanov, and the atmosphere-completing music by Thomas Regin. With some extra programming from Janet Gilbert, somehow that’s the entire production team namechecked. This is an epic. A huge, ridiculously detailed adventure, that successfully borrows one of the most complex and complicating features of BioWare RPGs without screwing it up! In fact, it makes the character detail in every other adventure look sorely lacking, and raises the bar so much I expect most others will just pretend Wadjet Eye didn’t do it. Absolutely get your hands on this, and if you’re hesitating because the whole “retro” approach puts you off, make the exception in this case. It’s worth it. Tagged with Bestest Bests, feature, review, RPS Recommended, Wadjet Eye Games, wot i think, Unavowed.